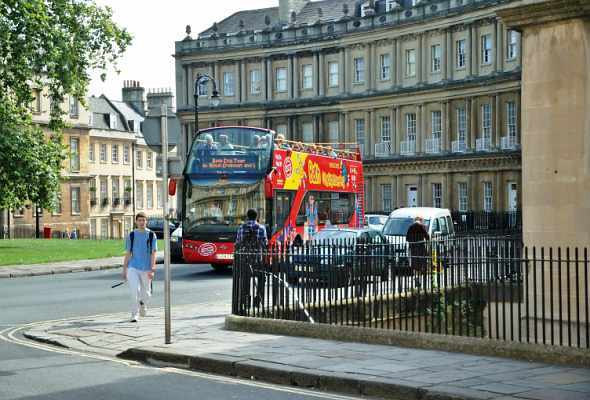 The beautiful and elegant Georgian City of Bath is, in the main, a product of the people who lived there and who took an active role in its development. It was, and still is, the home of many famous people that have contributed both talent and vision to the creation of such a remarkable city built up from the discovery of the natural phenomena of warm healing waters during the Anglo Saxon and Roman era. Here you will find details of famous people who have taken a leading role in the city's maturity over the last 300 to 400 years to leave such a wonderful legacy we find today. Richard Beau Nash was born in Swansea in Wales. He attended Jesus College, Oxford, served as an army officer and was then called to the bar, but made little of either career. 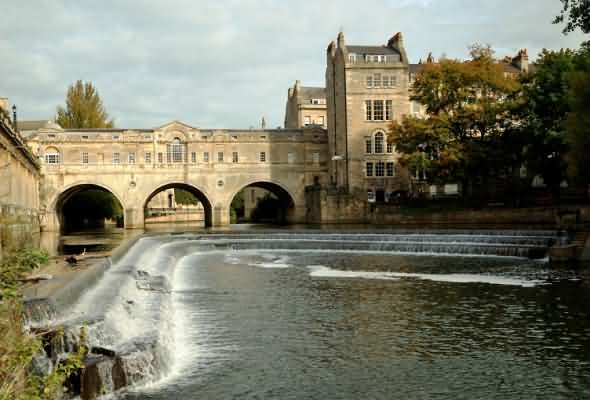 In 1704 he became Master of Ceremonies at the rising spa town of Bath, a position he retained until his death. He lived in a house on Saw Close (now at the main entrance to the Theatre Royal), and kept a string of mistresses. He played a leading role in making Bath the most fashionable resort in 18th-century England. There are many memorials in Bath Abbey. The one to Beau Nash records his birth date as 18th October 1674 and his death on 3rd February 1762 and although he had a lavish funeral he was buried in a paupers grave due to his massive gambling debts. Beau Nash was described as a influential dandy and a man of fashion. It is of interest that Nash was famous enough to rate a mention in Henry Fielding’s Tom Jones in the chapter called ‘The History of Mrs Fitzpatrick’. His name can also be come across in Georgette Heyer’s novels. In 1705 Richard "Beau" Nash introduced the first book of etiquette to suggest that gentlemen to refrain from brawling in public, crowding in front of ladies at balls, or wearing swords or heavy boots to dances. Ralph Allen was a Postmaster and philanthropist, born in Cornwall, England. His grandmother ran the post office at St Colomb Major in Cornwall, and at the age of 14 he became clerk there. He moved to Bath c.1710 and when 19 he gained the important position of Postmaster. Over the next few years he made a fortune by improving postal routes in England. He acquired the local stone quarries at Combe Down and Bathampton Down just as the building boom started in Bath, and from his quarries came the distinctive "Bath Stone" used to build the Georgian city, making Allen a second fortune. He had the Palladian mansion Prior Park (designed by John Wood the Elder) built for himself in 1742 on a hill overlooking the city, "To see all Bath, and for all Bath to see". Ralph Allen died at the age of seventy-one and is buried in a pyramid-topped tomb in Claverton churchyard, on the outskirts of Bath. His name is commemorated in Bath in Ralph Allen Drive and Ralph Allen School, one of the city's secondary schools. (1967). 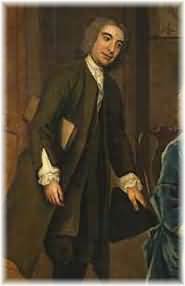 He also used his wealth to help the poor, providing cottages for his quarry workers and building the Mineral Water Hospital (1738). Prior Park is a beautiful and intimate 18th century landscape garden, created by local entrepreneur and philanthropist Ralph Allen with advice from the poet Alexander Pope and Capability Brown. 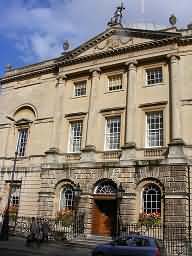 John Wood is, indisputably, Bath’s most important architect, having designed and built many of the city’s world famous landmarks. He, was an English architect. Born in the city of York in Yorkshire, Northern England, he worked principally in the city of Bath, South West England. He is known for designing many of the streets and buildings of Bath, such as the The Circus, Prior Park, St John's Hospital, the North and South Parades, and other notable houses, many of which are listed as Grade I buildings. Queen Square was his first speculative development. Wood lived in a house on the square. Numbers 21-27 make up the north side. Which was described by Nikolaus Pevsner as "one of the finest Palladian compositions in England before 1730". Many of the buildings John Wood designed are littered with symbols associated with Freemasonry, leading many people who have studied his work to believe that he was a member of the organisation, even though there is no documentary proof. Wood wrote extensively about sacred geometry, and argued that the myths of the supposed founder of Bath, King Bladud, were based on truth. He claimed that ancient British stone circles were the remains of once more elaborate buildings designed by Bladud. In 1742, Wood was commissioned to build a home for the mayor of Bath Ralph Allen, on a hill overlooking the city of Bath. This building is Grade 1 listed and has housed since 1830. His final masterpiece was The Circus, built on Barton Fields outside the old city walls of Bath, although he never lived to see his plans put into effect as he died less than three months after the first stone was laid. It was left to his son, John Wood the Younger to complete the scheme to his father's design. 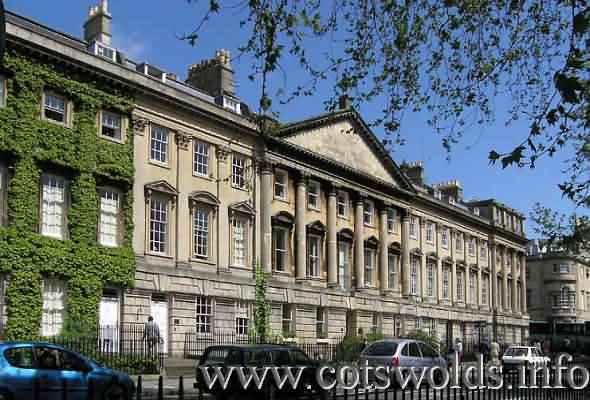 John Wood, the Younger was an English architect, working principally in the city of Bath. He began his work as an assistant for his father, the architect John Wood the Elder (see above). Among his works which survive today is The Royal Crescent (built between 1767 and 1774), Bath Assembly Rooms and Buckland House in Buckland, Oxfordshire. He also finished The Circus which was designed by his father and completed in 1764 and linked it to The Royal Crescent with Brock Street. 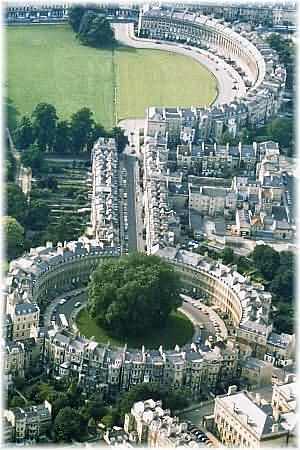 There is an off-campus dormitory complex belonging to the University of Bath named John Wood Complex, on Avon Street. 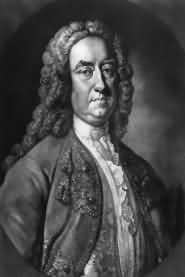 John Wood the Younger regarded Thomas Warr Wood his arch enemy due to his meddling. Thomas Attwood was a builder, 'architect' and local politician in Bath. He was a member of a prominent local family and a member of the City Council from 1760. Although he held no formal professional appointment, he acted as city surveyor and architect. He was able to use his position as a council member to obtain valuable contracts and building concessions on city owned land. He was Mayor of Bath at the time that the council adopted his proposal to build a prison.This caused much controversy in the city due to the fact that he was a plumber, by trade, and it was solely due to his his political connections he was routinely appointed as the architect, surveyor, and city planner for all of the city's civic projects, including the new prison, which he 'designed' and built between 1772-1774. All of his designs were almost certainly executed by his assistants, but he received both the credit, payment, and future commissions at a time when late 18th-century Bath was host and birthplace to some of the greatest architects in the kingdom. Nevertheless, Attwood must have been a man of vision and in tune with the needs of the city and getting things done. It must also be said that he would have been 'a thorn in the side' of other architects such as John Wood the Younger due to his political power. He was killed by the collapse of a derelict building which he was inspecting on the site of the proposed new Guildhall. After his death his assistant Thomas Baldwin was appointed City Architect and City Surveyor. Baldwin almost certainly was responsible for the design of the Guildhall whilst employed by Attwood and also architect of Great Pulteney Street. Attwood's pedestal monument is in the churchyard at Weston. South of the church of All Saints, Weston, it was designed by Baldwin and features a good surviving example of 18th century cast iron railings, which were recently restored. 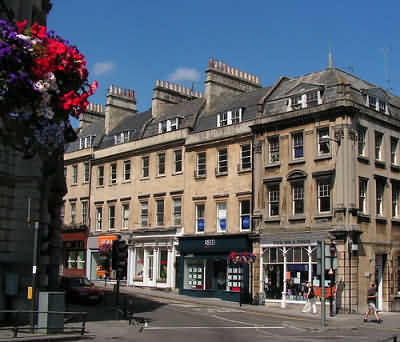 Projects in Bath also attributable to Attwood include Paragon Crescent (1768), Oxford Row (1773) and possibly Belmont (1770 to 1773) - terrace of houses the east side of Lansdown Road. The Grand Pump room was started by Baldwin in 1789 and finished by John Palmer in 1799. He did not originally hail from Bath but was first recorded in the city in 1774, where he was initially a clerk (later builder and assistant) to plumber, glazier, and politician Thomas Warr Attwood (see above). By 1775, he was appointed as the Bath City Architect after Attwood's death. Sometime during the construction of the Guildhall during 1775, he was officially appointed the position of Bath City Surveyor. He was surveyor to the Pulteney Estate and planned the development of Bathwick as well as being responsible for much of the building in Bath. Around the same time he was appointed to the Office of Architect and Surveyor for the Improvement Commissioners (formed by the Bath Improvement Act of 1789) on 9 April 1790 (at a salary of 200 pounds per annum), which he held until 1793. Thomas Baldwin was responsible for many buildings in the city, including the terraces in Argyle Street and also Northumberland Buildings. Great Pulteney Street, where Baldwin eventually lived, is another of his works: this wide boulevard, constructed circa 1789 and over 1,000 feet (30m) long and 100 feet (30m) wide, is lined on both sides by Georgian terraces. John Palmer was an English architect who worked on some of the notable buildings in the city of Bath in England. He succeeded Thomas Baldwin as City Architect in 1792. 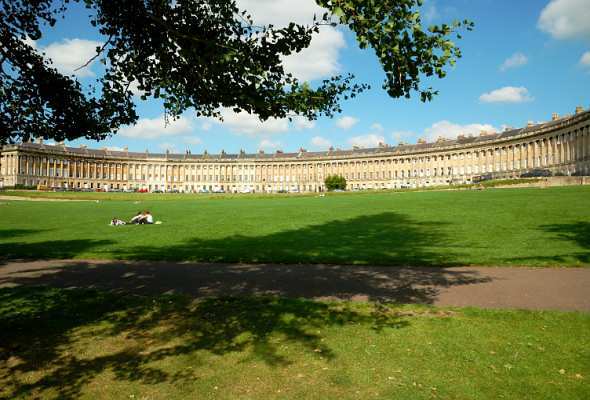 Bath building projects he worked on include - The Paragon, Lansdown Crescent, Grand Pump Room, Cumberland House, Stall Street, St. James Square, Christ Church, Theatre Royal, New Bond Street and Kensington Chapel. John Eveleigh was an English surveyor and architect in Bath. He began his practice in Bath in the 1780s, but went bankrupt after the failure of the Bath City Bank and moved to Plymouth. Bath building projects he worked on include - Camden Crescent, Summer Hill Place, St Catherine's Hermitage, Grosvenor Place, Somerset Place and Lambridge Place. He also involved with the building of 32 to 44 Caledonia Place at Bristol. Amongst the memorials of significant interest in Bath Abbey (unveiled in 1937) is the one to Admiral Arthur Philip who was the 1st Governor of New South Wales, Australia. Born at Fulham, England of a German father and an English mother. He served in both the Royal Navy and the Portuguese Navy. 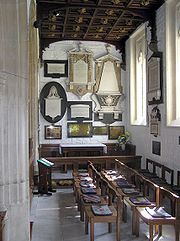 Phillip was buried in St Nicholas's Church, Bathampton, near Bath. Forgotten for many years, the grave was discovered in 1897 and the Premier of New South Wales, Sir Henry Parkes, had it restored. An annual service of remembrance is held here around Phillip's birth date by the Britain-Australia Society to commemorate his life. His name is commemorated in Australia by Port Phillip, Phillip Island (Victoria), Phillip Island (Norfolk Island), the federal electorate of Phillip (1949-1993), the suburb of Phillip in Canberra, and many streets, parks and schools. Bath Abbey has a striking memorial to William Bingham (1752-1804) an American senator from Pennsylvania has figures of Angels on each side of the plaque. 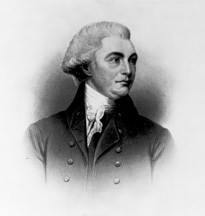 He has been described as one of the richest men of his time in the Pennsylvania state, having made his fortune through ownership of Privateer’s and commerce, he served as Speaker in its House of Representatives in 1791. There are many hundreds of memorials for the visitor interested in local and national history. 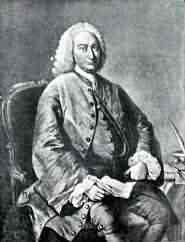 In 1770, Bingham served as British Consul at St. Pierre, Martinique. His service to the British ended in June 1776, when he agreed to serve the Continental Congress in Martinique. During the American Revolution, he secretly dispensed American propaganda, gathered information, arranged for smuggled shipments of weapons to the army, and recruited privateers to prey on British shipping. The last portion of his mission proved to be personally profitable, as Bingham was entitled to a portion of every British cargo taken. When his mission ended in 1780, he returned to the new United States with a fortune. At the age of 28, Bingham was one of the richest men in the nation. In 1803 he moved to live in England where his daughters resided. Bingham died on February 7, 1804 in Bath, and is interred in the nave of Bath Abbey. His estate was not settled until 1960. See also - Famous Americans with Cotswold Connections. Adelard de Bada (1080 - 1152) of Bath was a 12th century leading English scholar of the middle ages and was famous for translating the word of muslim scientists from Arabic to Latin! 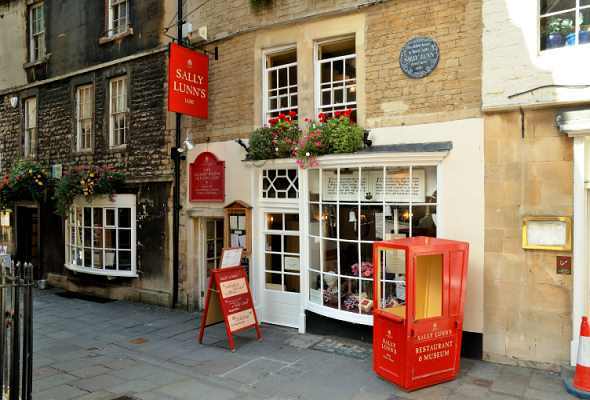 Sally Lunn cake - probably a corruption of the French phrase "soleil et lune" referring to a type of cake originally made by Protestant refugees from France but History of Sally Lunn cake gives other derivations. A Bath tea shop bears the name (see one of main pictures above). Dr William Oliver - inventor of the Bath Oliver biscuit, and one of the founders of the Royal Mineral Water Hospital. Henry de Vere Stacpoole - novelist, wrote The Blue Lagoon. Mary Shelley - novelist, author of Frankenstein. Amy Williams - Won Gold Medal (February 2010 at the age of 27) by winning the skeleton bobsleigh event at the Winter Olympics in Vancouver. Britains first individual gold medalist at the Games since 1980. Horatio Nelson, 1st Viscount Nelson - Admiral, Freeman of Bath.